With the exception of most country music, I've thoroughly enjoyed listening to music on Whole Wheat Radio when I can. I pretend it's primarily because I enjoy supporting independent musicians, but the main selfish reason is actually because I just like the music! 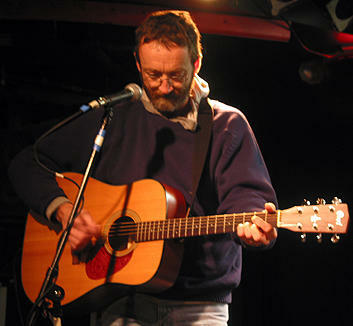 Of the artists I've heard and subsequently researched myself is David Francey, a Scottish musician who lives in Canada. Usually I'm not such at a loss for words to describe music (or wine, or coffee), but for some reason this was the best review I could give!